Keith Price's Curtain Call: Keith Really Does See Stars...In The Alley. The annual Stars in the Alley event, put on every year by The Broadway League is quickly becoming one of my favorite events to cover. Last year was the first year that I covered it for MY podcast, and it was an even more fantastic feeling being invited again to cover this fabulous day. If you have been able to catch my podcasts, you may have heard my previous interviews with ALADDIN's Telly Leung, or with my 2x Tony Award Nominated, Broadway Baby Daddy from FALSETTOS and the upcoming PRINCE OF BROADWAY, Brandon Uranowitz, then you know how much I already adore talking to them. I can now add the fabulous Michael Xavier from SUNSET BOULEVARD, Tony nominees from the Tony Nominated & Pulitzer Prize Winning play SWEAT, Johanna Day & Michelle Wilson, BANDSTAND's Corey Cott, ANASTASIA's Christy Altomare, Thanks to the Broadway League for another fabulous afternoon. Please enjoy a little Stars in the Alley. 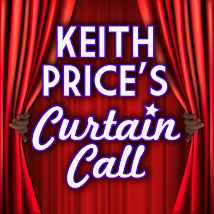 Please SUBSCRIBE FREE to KEITH PRICE'S CURTAIN CALL on Itunes and Google Play Music, YOU TUBE and leave a review.